We still have spaces on our 2017 summer camp with Hearing Dogs for Deaf People. 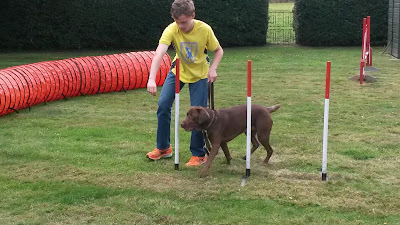 Spend two days learning how to teach a dog obedience and agility. 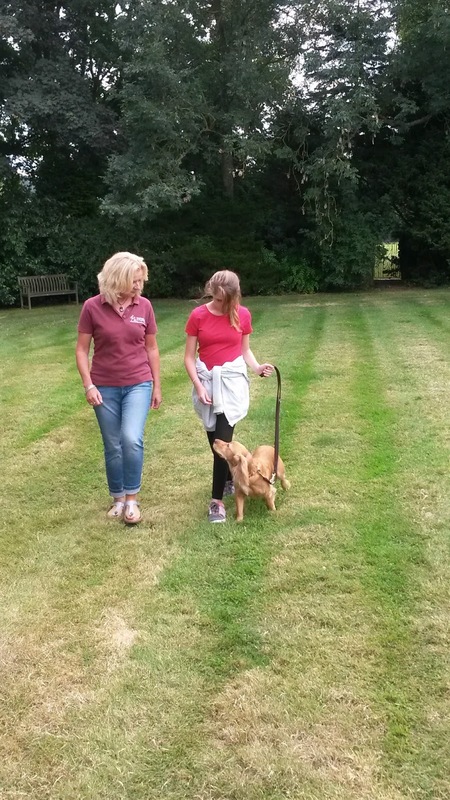 Hearing Dog staff will help you understand dog welfare and the importance of grooming and caring for your dog. 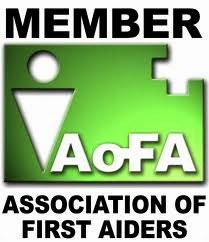 During your two days you will learn about canine first aid and receive a Canine First Aid Certificate. 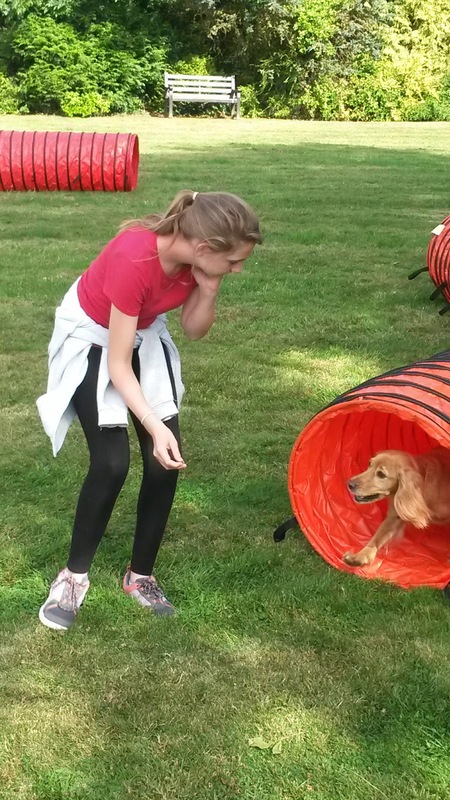 This is a fantastic opportunity to see behind the scenes of a leading charity using dogs to improve peoples lives. Ideal for 12-16 year old with an interest in dogs and considering a career or if you would just like to understand your own dog a little better. 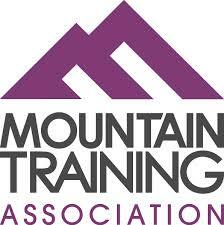 Please visit www.inveniotraining.co.uk for more information. 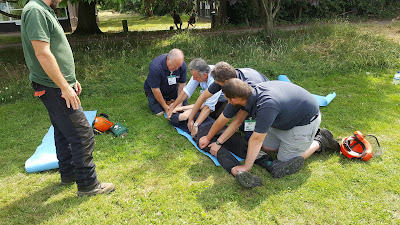 We ran our first EFAW+F course in partnership with BCA and the Centre of Landbased Enterprise and Technology yesterday. 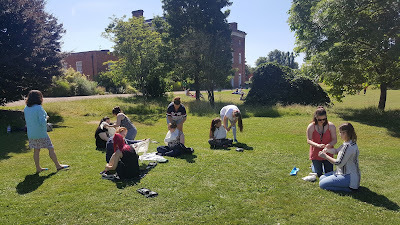 The course was popular and great weather with a fantastic combination of candidates led to a great day. The candidates ranged from business owners to individuals who used chainsaws regularly and wished peace of mind if it all went wrong. We still have spaces on our next course on the 14th August. We are very proud to have been invited back for the third year to provide medical cover for The Horse Trust. 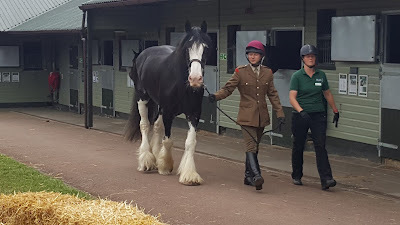 It is always a fantastic event to see these equine public servants so well looked after in retirement. 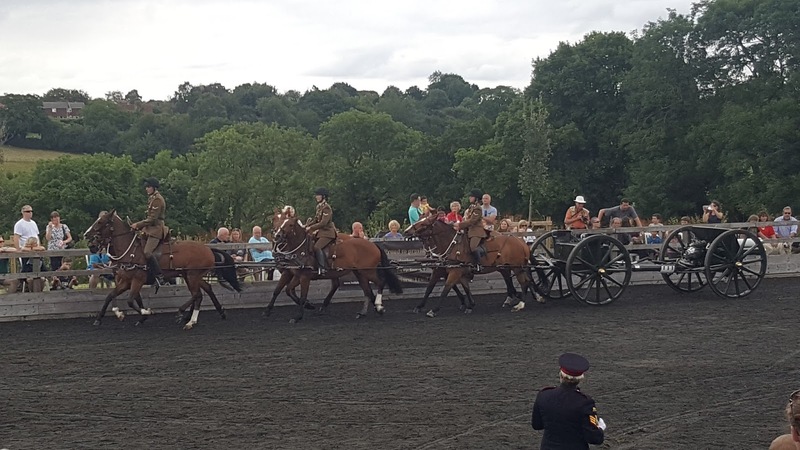 There were displays form the Royal Army Veterinary Corps, The Kings Troop Royal Horse Artillery, Metropolitan Police Mounted Division and Thames Valley Police. 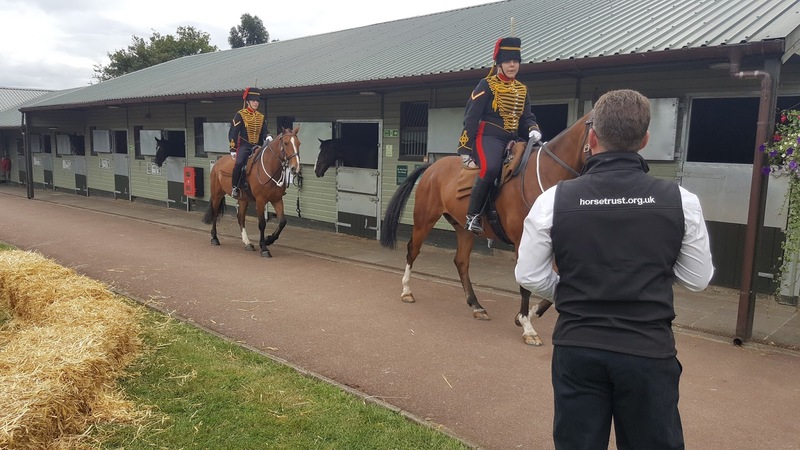 It was an emotional day as several military and police horses were handed over from their MOD and Home Office riders to grooms at The Horse Trust, to start their well deserved retirement. Some horses had served 22 years and were looking forward to spending some time in the beautiful fields of the Rest Home for Horses near Speen. 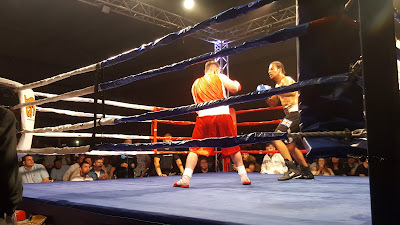 On Saturday we were providing medical cover for a white collar boxing competition in High Wycombe for Fightmedics UK. 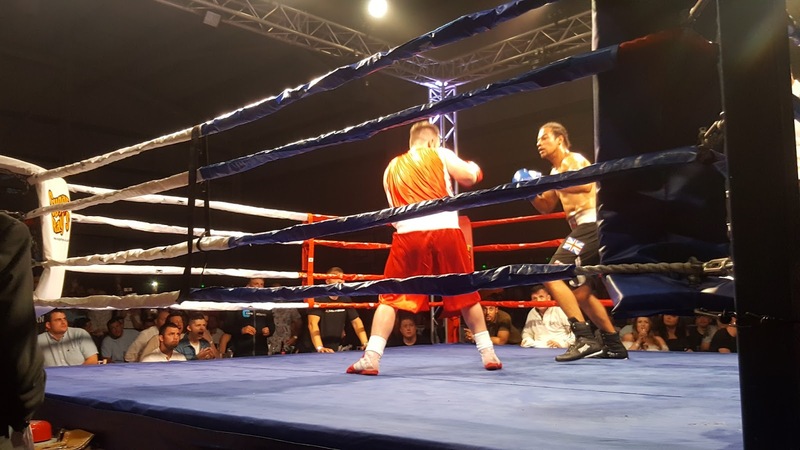 We witnessed some great amateur boxing with some very worthy winners. 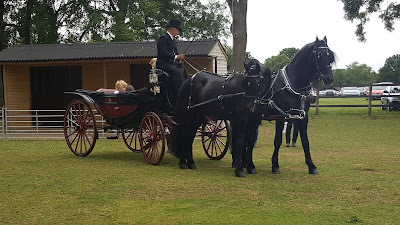 As our services were not required which made the night more worth while. 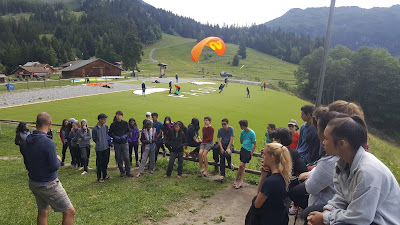 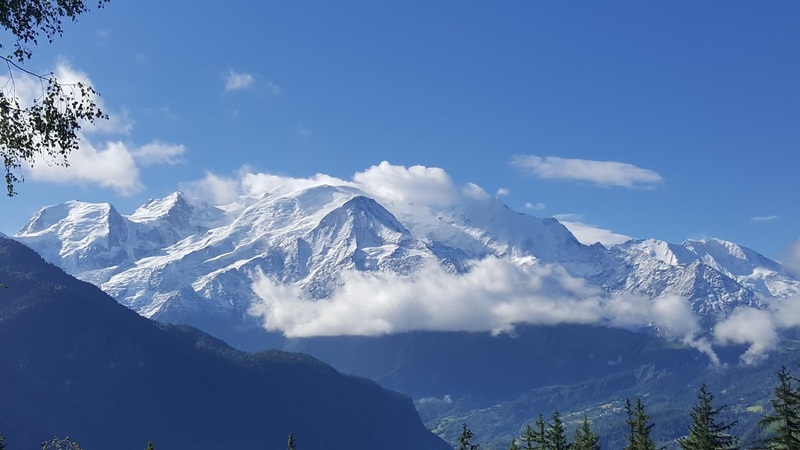 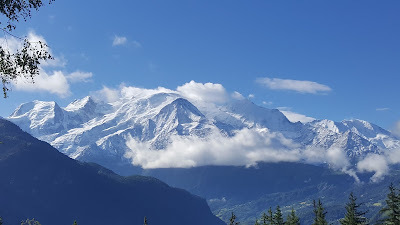 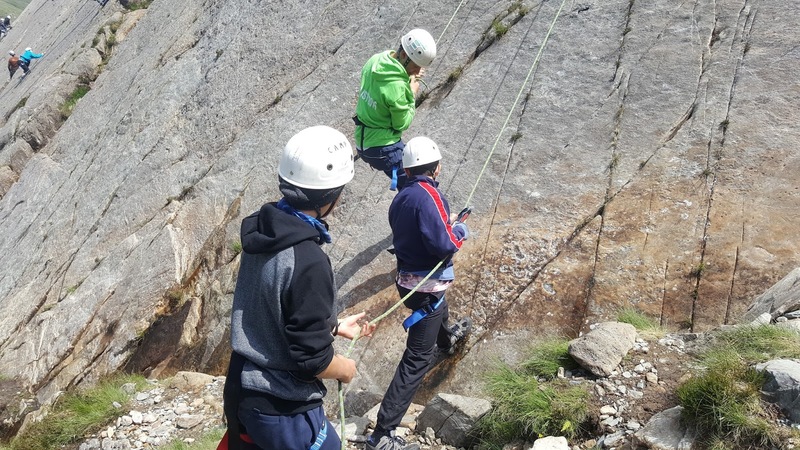 Since our last post we have been working with VLMadventureconsultants working in Snowdonia and Chamonix with schools from the UK and Singapore. 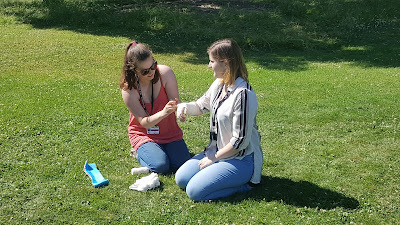 After some great experiences', weather and fun we returned home with a series of courses with BCA College for their level 2 and level 3 early years students. 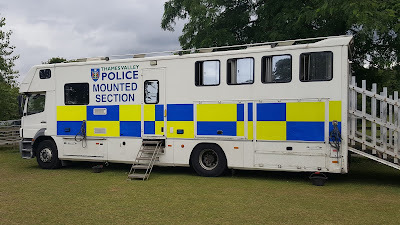 Looking ahead on the 16th July we are covering the Horses, Hounds and Hero's event for the Horse Trust near Speen. We have covered it for the last few years and it is a fantastic day out for all the family. 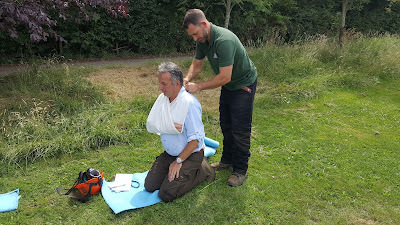 On Monday 17th July we are running a Forestry Specific EFAW course at BCA, places are still available.